Just outside the urban center of metro Austin is the premier new master-planned community at Carmel Creek. Conveniently located near the intersection of TX 130 and US 79, Carmel Creek is just minutes from the employment opportunities in nearby Round Rock and northeast Austin. Served by the vibrant city of Hutto, Carmel Creek enjoys the amenities and comforts of a small town, but with the dynamic entertainment of a major urban area. 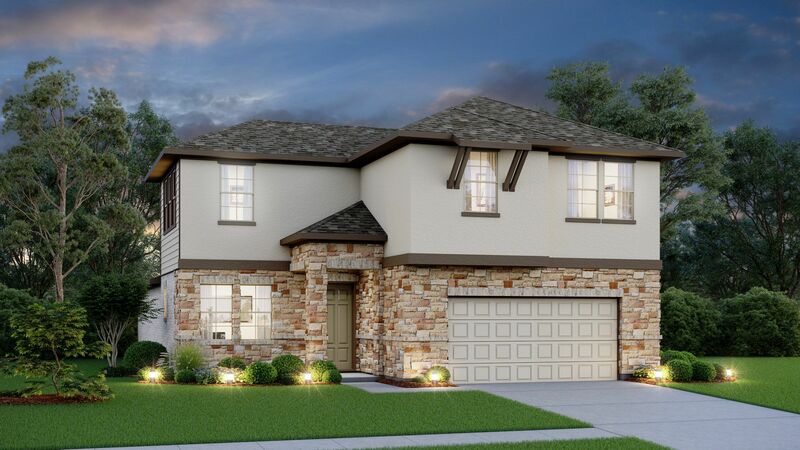 A cozy neighborhood nestled in the greenery of Central Texas, Carmel Creek will feature a variety of beautiful new Village Builders homes, a community pool, resort-style amenity center, and a family-friendly playscape. Village Builders' homes at Carmel Creek is proud to introduce brand new home designs with spacious open floorplans in a variety of contemporary styles. Beautiful exteriors are matched with usable interiors, all bound with quality construction and upscale materials. Each home is carefully built to match the natural scenery, and all of the plans are crafted with luxurious designer touches such as airy high ceilings and abundant natural light. And to insure that each of these gorgeous homes is as unique as the family that owns them, personalization is easy with an amazing array of size, style and decorator options. Located inside the Hutto Independent School District, Carmel Creek provides exceptional educational opportunities to every family. Retail, entertainment, and major employers are just a quick drive away and include the Stone Hill Town Center, Rock’N River Water Park, Texas Café and Pie Shop, Flextronics and Dell. For nature lovers and athletes, Carmel Creek is surrounded by family fun at the Fritz Park, Hutto Lake Park, Old Settlers Park, 3 Queens Equestrian Center, Park at Brushy Creek, the Golf Club at Star Ranch and the Dell Diamond. With low tax rates, low population density and incredible opportunity, CalAtlantic’s Carmel Creek is the perfect new place to call home.